Sligo is the centre of retailing for the north-west of Ireland, with an effective catchment of over 200,000 people. The ‘Sligo Town Centre’ scheme has full Planning Permission and when complete will be the focus of retailing in Sligo. 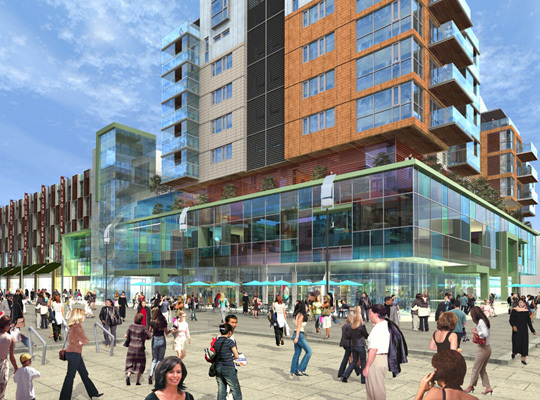 The scheme sits at the heart of the re-development of Sligo City Centre, which when completed, will offer over 243,000 sq. ft of new retail space with a modern multi-storey car park which will facilitate1,000 car parking spaces. Debenhams have recently signed an Agreement for Lease to be the major anchor tenant for the scheme. Other anchor tenants include Tesco, Penneys and Dunnes.